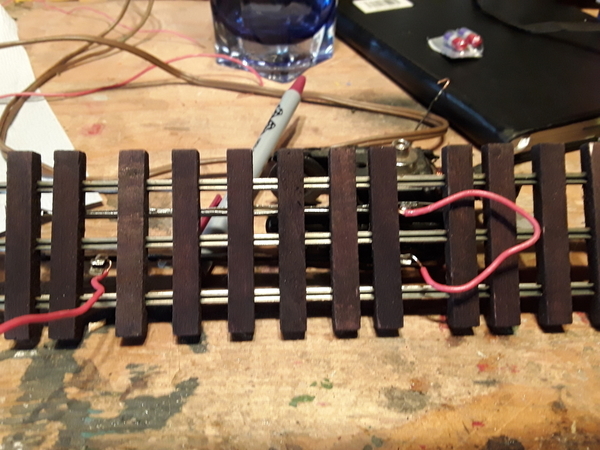 Am I doing wrong with wiring on my unloading homemade track? I'm starting a new blog because what I've done may be helpful for others making their own unloading track. 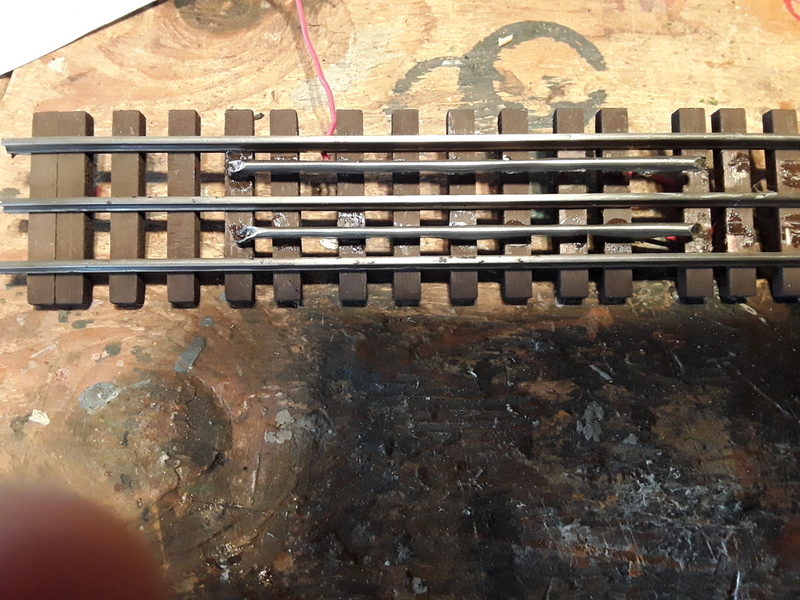 I took apart and old Lionel UCS track and used the two outer and Center rail to make up my unloading track. I used those because they are were a little higher relative to the gargraves track to make contact with the shoe. In the picture I soldered the two wired rail sections together and added a power lead from one. Please see my picture from bottom. From my Transformer I added an alligator clip to the common and from the power of my new rail I combined that with an alligator clip to the power center rail. When I run a truck with a coil shoe over the track after adding power it uncouples however, when I run a dump car over my new homemade rails I get nothing no coupling or unloading. What the heck am I doing wrong this time. I think uncoupling energizes both extra rails, where unloading just energizes one extra rail and the other one goes to common. As Chuck pointed out, you have it wired incorrectly. 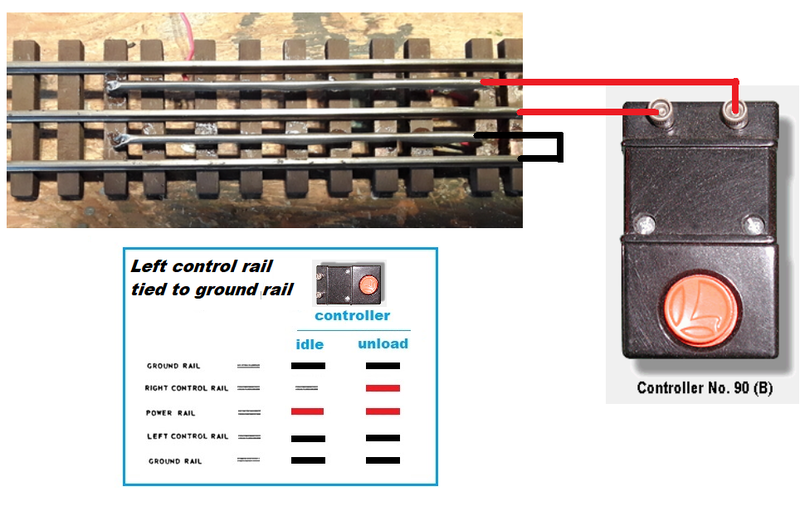 For Uncoupling, both slide shoe rails are HOT, and the outside rails are the ground to operate conventional coil couplers. For Unloading cars with 2 slide shoes - One slide shoe rail is hot and the other slide shoe rail is ground. This diagram adapted from the one I drew for your other thread. The summary table on the right shows what the guys are saying. 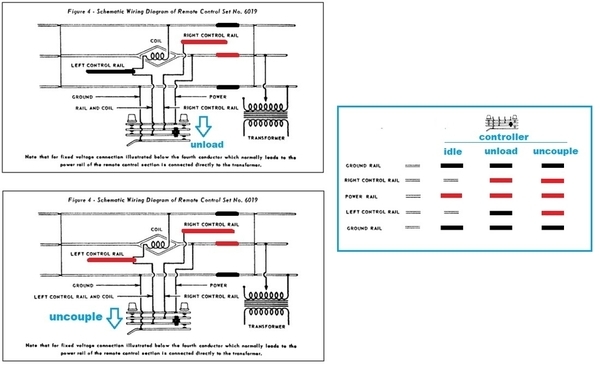 Most unloading cars activate when the controls rails have "hot" on one shoe and "ground" on the other shoe. If you tie the two control rails together (as you state in your original post) you cannot achieve this condition since both shoes will be at the same voltage. Separately. In your other thread it appears you want to trigger the Unload action with a Lionel PW controller. 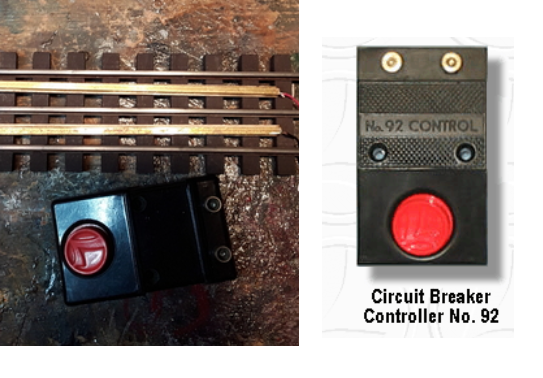 Hard to see in your photo but if this is a circuit breaker controller like the No. 92, I don't think it will provide the function you are after. Since it's only an unloading track, why not tie one to the outside rail and just switch the second one? I'm guessing he is using the more common #90 button which is the same form factor as the #92. The #90 is very appropriate. What's not clear to me is whether Jerry wants uncoupling action too based on his following comment. ... 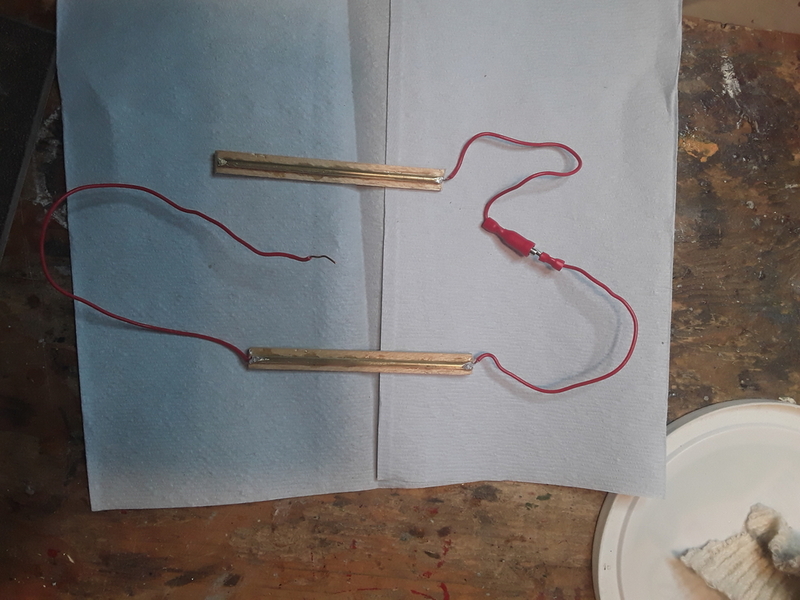 I soldered the two wired rail sections together and added a power lead from one. ...when I run a dump car over my new homemade rails I get nothing no coupling or unloading. I may be misunderstanding, but I read above that his dump car has uncoupling ability (with an in-car coil coupler). But if this home-made track section is only needed for unloading...and any UCS-like coupling action is activated elsewhere on the layout...then I like GRJ's idea. 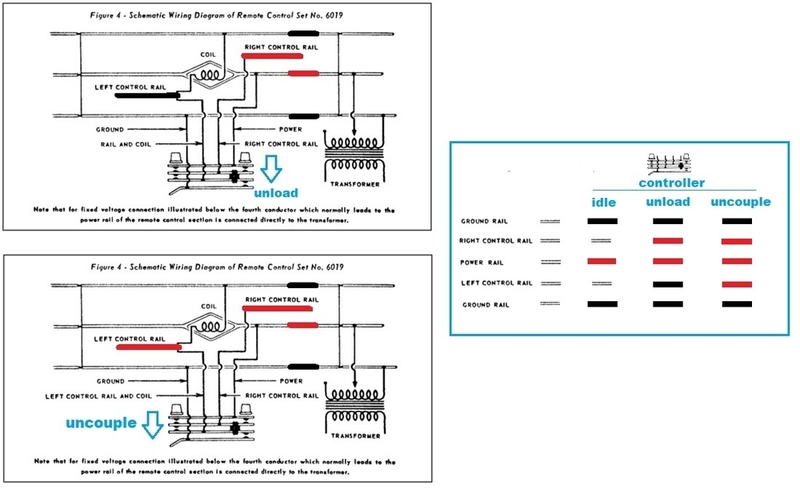 Break the connection between the two custom added control rails. Okay, what I have done seems to work great on my gargraves track. I took a 1/8 diameter 4 inch piece of copper tubing and mounted it on the center of a quarter inch thick by half inch wide piece of Balsa. 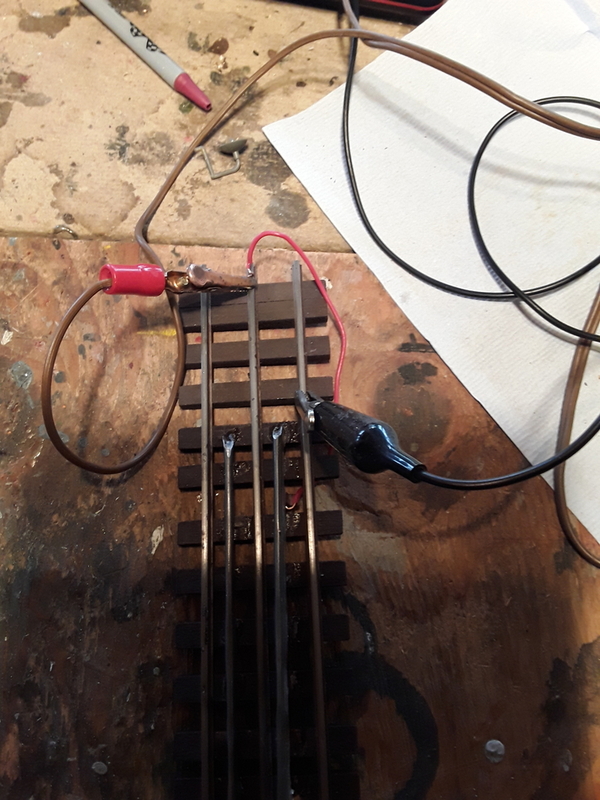 I mounted the tubing in the center of the Balsa piece and soldered wires together via a plug which will be connected underneath my layout. The Balsa pieces are mounted just touching the outer Center rails of the gargraves track which turns out to be a perfect fit for the unloading car shoes. 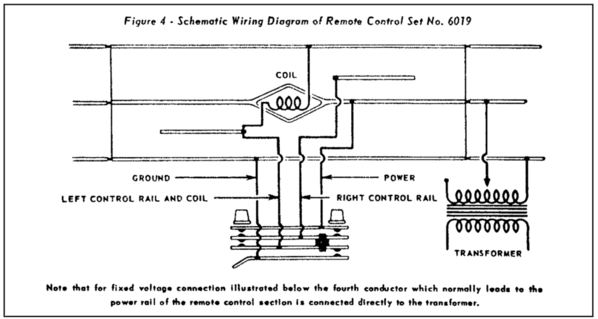 The tubing is only 4 in Long which will not allow the uncoupling shoe to touch at the same time. I think this works okay. What do you think.